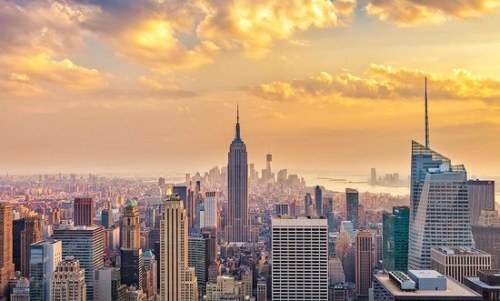 WestJet has dropped the price of their flights from Calgary to New York City (LGA) down to $373 CAD roundtrip including taxes throughout most dates in 2017. Note that these 1-stop flights may only be a good deal for you if you were thinking of visiting New York City in the summer months, or around a holiday period. This is because there are currently non-stop flights on WestJet from January to May and in late September/October 2017 for $416 CAD roundtrip. January to October 2017, including summer months (July, August). 2. For the non-stop flights, you can try selecting the flights in Google Flights and clicking through to the WestJet website. When you get to Fareboom, you may see the Delta logo on the search results, but it should say 'Operated by WestJet' (it's a codeshare). 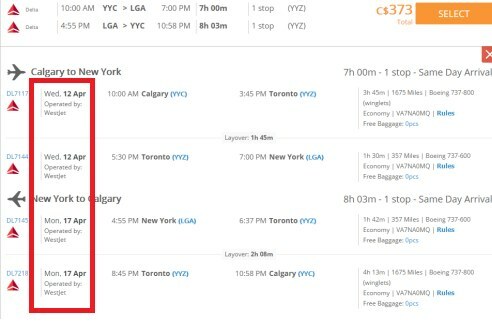 Update 3/21 - Flights from Calgary to New York City (LGA) in late April, May, and June can be booked today for $324 CAD roundtrip including taxes (they are 1-stop flights). The WestJet coupon code that makes this possible is available for today only.